Chania’s historic significance stemmed from its location as a commercial port, and still today, the deep, curving waterfront, which gained its present architectural design from the Venetians in the 14th century, operates as a magical attraction magnet. Filled with small wooden fishing boats and ringed by a promenade lined with seafood taverns, restaurants and cafés, it buzzes with visitors during the summer period, and is totally fascinating by night. 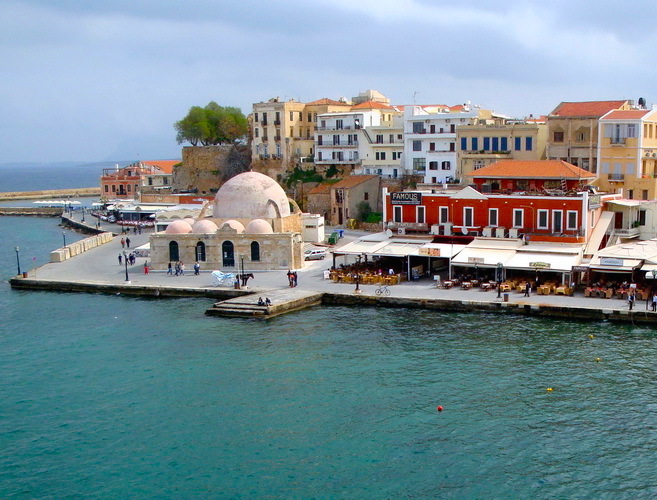 To the east of the old harbor, note the mosque, erected by the Ottoman Turks after they captive Chania in 1645. Afar the Ottoman mosque, stand the arsenals, where the Venetians repaired their galleys. This entire stretch of coast is protected by a harbor mole, and on its tip stands a magnificent lighthouse – a strangely reminiscent of a minaret. Chania’s history dates back millennia to somewhere around 2200 BC, when the Minoans founded the ancient city-state of Kydonia on the same location. 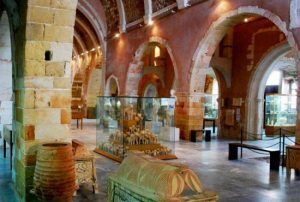 Housed in the Gothic Church of San Francesco, a light and airy vaulted space this museum holds archeological finds from western Crete dating from Neolithic times through to the Roman age. There is a plethora of Minoan ceramics, painted burial urns, gold jewelry, and clay tablets with inscriptions. Other notable exhibits include peculiar clay figurines of bird-faced women, votive ceramic bulls, a third-century Roman mosaic floor, and an impressive marble bust of Roman Emperor Hadrian. With its warm, sunny Mediterranean climate and rich, fertile soils, Crete grows olives and grapes, and even farms tropical fruits, such as avocados and bananas. Not very far from the Green Orange Villa, at the foot of the White Mountains, a meandering two-kilometer path takes visitors through a garden planted with exotic flowers and fruit trees from all over the world, with everything clearly labeled. There are plenty of shady spots with benches amid fragrant herbs such as sage, mint, and thyme. You can borrow a walking stick and hat at the entrance and a free bottle of water is included with the ticket. There’s also a café-restaurant serving traditional Cretan dishes prepared from the park’s own seasonal products. This location is a must visit attraction for plant lovers. 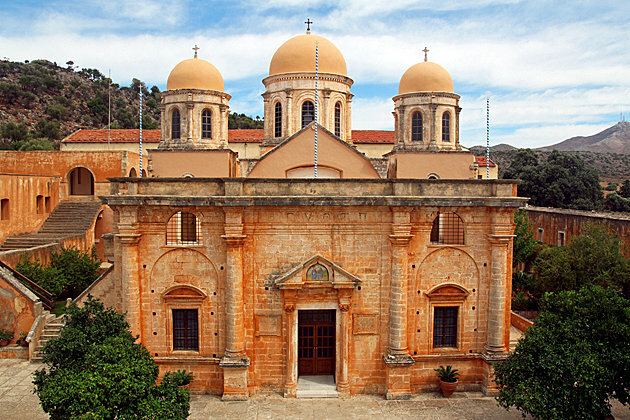 The steep terrain of Akrotiri’s peninsula, 10 kilometers east of Chania, is home to three Eastern Orthodox monasteries. 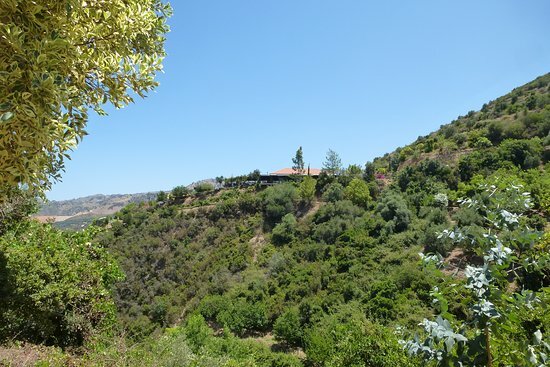 Agia Triada, founded in 1612, is set amid methodically tended olive groves and orange orchards, and centers on a cloistered courtyard and a lovely church – you can buy olive oil made by the monks. A short drive away stands the fortress-like Gouverneto, founded in 1537. From Gouverneto’s monastery entrance, a footpath leads past Arkoudiospilia (Bear Cave), down 140 steps to Katholiko, an abandoned sixth-century monastery, built into a cliff face. After seeing the monasteries, head for Stavros Bay for a swim at the sandy beach where Anthony Quinn danced in the 1964 film Zorba the Greek. 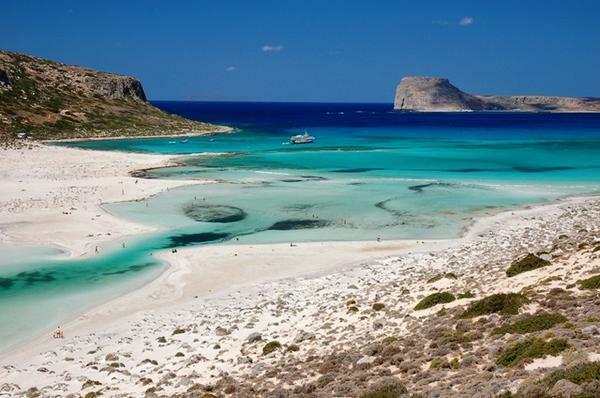 Crete’s most remarkable beaches are often the hardest to reach, and Balos is undoubtedly one of them. Excursion boats depart from Kissamos (40 kilometers west of Chania), but it’s more fun to hire a vehicle, preferably a 4×4 jeep or a motorbike, and visit independently – be sure to go slowly and carefully. From the car park, hike down a steep footpath (20 minutes), to arrive at this enchanting white sand beach, which extends to a stunning turquoise and emerald-green lagoon. From here, you can wade through knee-high sea to the tiny islet of Gramvousa, crowned by a 16th-century Venetian fort. Make your reservation at the Green Orange Villa to visit these places during your stay!